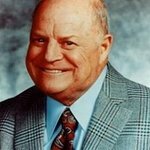 The John Wayne Cancer Institute Auxiliary will honor internationally recognized medical oncologist Steven J. O’Day, MD, with “The Duke” Special Service Award and award-winning actor, producer and screenwriter Vince Vaughn, with the “True Grit” Humanitarian Award at the 32nd annual Odyssey Ball, Saturday, March 25, 2017 at the Beverly Wilshire, A Four Seasons Hotel, Beverly Hills. The Best is Yet to Come casino-themed gala fundraiser benefits the John Wayne Cancer Institute at Providence Saint John’s Health Center and is organized by John Wayne Cancer Institute Auxiliary co-chairs Martha Harper and Shirley Lipstone. Steven J. O’Day, MD is Professor of Medical Oncology, Director of Immuno-Oncology and Director of Clinical Research at the John Wayne Cancer Institute. Dr. O’Day is recognized as one of the preeminent melanoma specialists in the world. He provides expert clinical care while incorporating teaching and leading clinical research. He lectures extensively, both nationally and internationally. He has been at the forefront of new drug development in melanomas over the last two decades. Dr. O’Day played a leadership role in the development of the breakthrough immune checkpoint inhibitor ipilimumab. He has been a principal investigator in more than 100 clinical trials and has published more than 200 manuscripts, abstracts and reviews in prestigious medical journals. He has served on the American Society of Clinical Oncology (ASCO) Education Committee for melanoma and recently completed a three-year term on the prestigious ASCO Cancer Communications Committee where he moderated ASCO Immuno-Oncology press conferences. 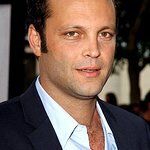 Vince Vaughn has become one of Hollywood’s most highly acclaimed triple threats – as an actor, producer and screenwriter. A Chicago native, Vaughn first caught the attention of critics and audiences in Doug Liman’s cult classic Swingers. He was most recently seen in Mel Gibson’s WWII drama Hacksaw Ridge, which was nominated for 6 Academy Awards & 3 Golden Globes, and recently wrapped production on Craig Zahler’s Brawl in Cell Block 99. He also appeared in the critically acclaimed HBO series True Detective. Vaughn’s film credits include: Wedding Crashers, The Internship, The Watch, The Dilemma, Couples Retreat, Four Christmases, Fred Claus, Into The Wild, The Breakup, Old School, Mr. and Mrs. Smith, Rudy, The Lost World: Jurassic Park 2, among others. Since 1981, the family of John Wayne has been committed to pioneering cancer research in memory of their father, who died of cancer. The courageous and dedicated researchers at the John Wayne Cancer Institute have made groundbreaking discoveries that have changed the way cancer is detected, diagnosed and treated around the world. Today the tradition of excellence continues as the Institute spearheads new research advances, while training the next generation of leaders in the fight against cancer through its renowned Surgical Oncology Fellowship Program. The Institute’s programs focus on melanoma, breast, neuro, prostate and gastrointestinal cancers, as well as innovative research in cancer genomics, molecular biomarkers, and chemo- and immunotherapies. With its unique ability to rapidly turn scientific discoveries into novel approaches for early detection and treatment, the Institute provides immediate hope to cancer patients everywhere. Established in 1982 by two breast cancer survivors, the John Wayne Cancer Institute Auxiliary is currently helmed by president Anita Swift, granddaughter of John Wayne. The Auxiliary has raised more than $19 million to fund a wide array of the Institute’s priorities including groundbreaking research, vital new laboratory equipment and the nationally renowned Surgical Oncology Fellowship Program, which trains the next generation of surgical oncologists. For more information, please click here. For event information and sponsorship packages, please contact Amanda Flores Dunn at 562-221-8772 or email jwciaevents@gmail.com.